Duper sensitive anti-colic valve with advanced easi-vent technology. Tommee Tippee Closer To Nature Fast Flow Teats are designed with breastfeeding experts to mimic the natural stretch and softness of a mum's breast. 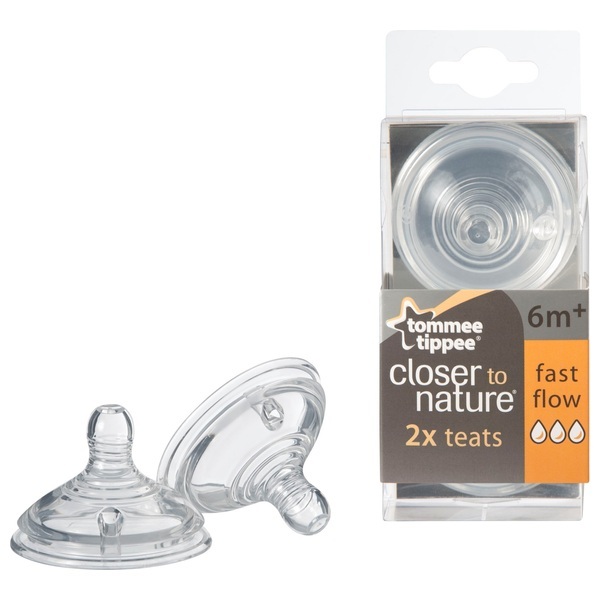 Tommee Tippee Closer to Nature Fast Flow Teats help make switching between breast and bottle easier than ever.